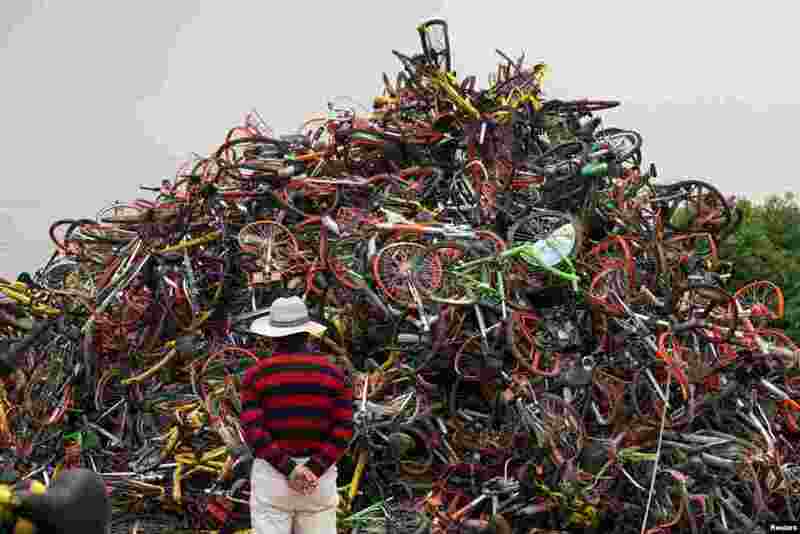 ١ Bicycles of various bike-sharing services are seen in a garbage dump in Shanghai, China. 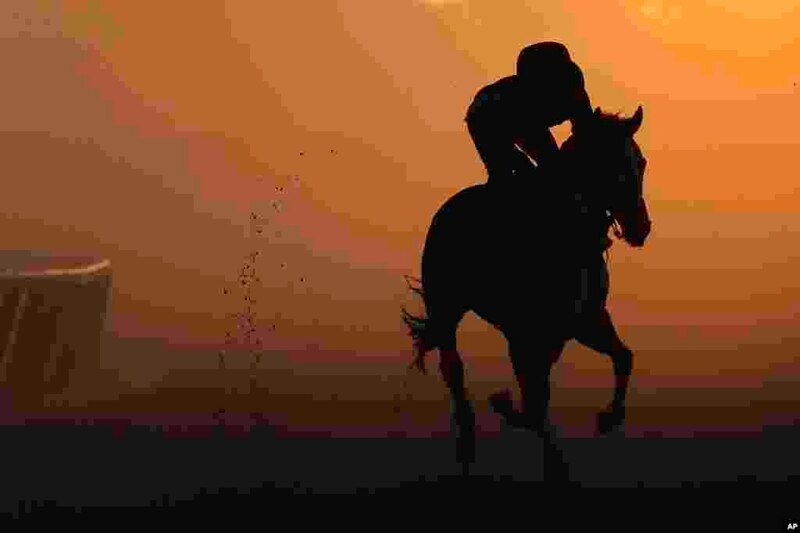 ٢ An exercise rider gallops a thoroughbred around the track during a workout at Belmont Park in Elmont, New York. 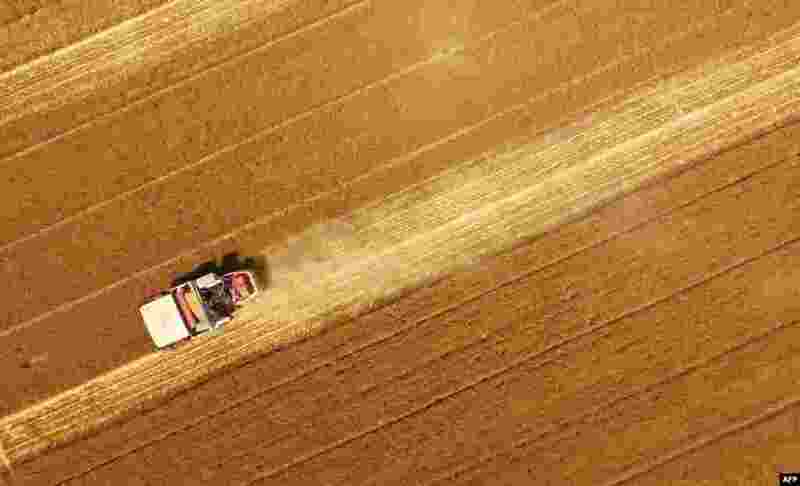 ٣ A combine harvester cuts wheat of a field in Handan in China's northeastern Hebei province. 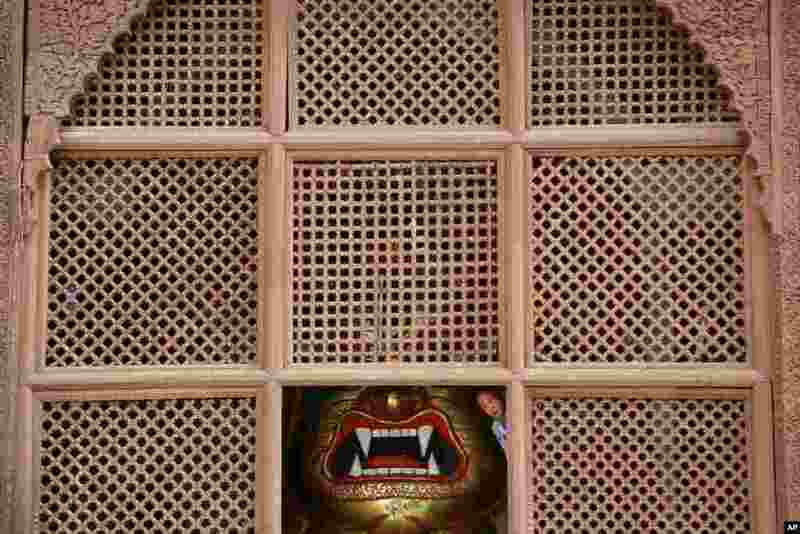 ٤ A Priest looks out from the temple of Swet Bhairabh in Basantapur Durbar Square in Kathmandu, Nepal.